Home/anxiety, getneurofit/What’s the connection between eggs, sunglasses, your vision & your brain? Well, it may have fallen from grace in the 1980’s but the humble egg has fought its way back and has claimed its rightful title as a ‘superfood’. We all know that there is high quality protein in eggs, in fact 6g in each medium sized egg. 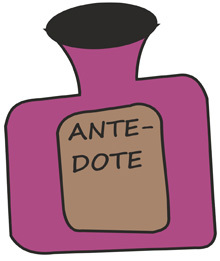 Those proteins not only support cognitive development in children, they also promote good immunity and energy levels. If that wasn’t enough, the proteins also, positively affect blood pressure and, reduce the risk of fatigue and nervousness. The benefits of the humble egg doesn’t end there. 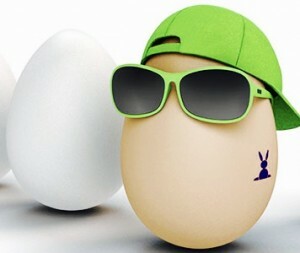 Research indicates that an egg a day will protect your eyes from ‘macular degeneration’. The macula of your eye is the most important part of the central retina, the part responsible for your visual acuity and colour vision. 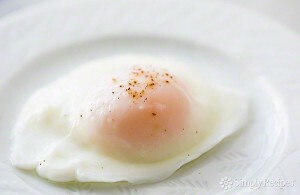 In addition to protecting you against loss of vision, research also suggests that eggs may very well prevent cataracts. Who knew the benefits of eggs could stretch so far? Maybe you are wondering how they can contribute to eye health? I know I definitely did, and the reason is because the egg yolk contains a compound called ‘lutein’. 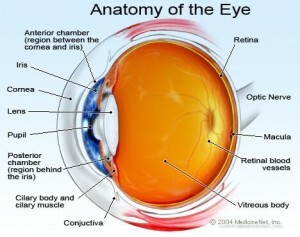 It is lutein that plays a vital role in protecting your eyesight long term. Your body can’t produce lutein but you can obtain it from the food in your diet. The richest source of lutein can be found in, well you probably already guessed, eggs! Although it can also be found in green leafy vegetables such as spinach and broccoli etc., Scientists tell us that it easier for the body to absorb lutein from eggs than it is from vegetables. Now, I am always full of questions and, I was curious to know how lutein gets into the yolk of an egg? And to find out, what exactly it is doing to protect your vision? Chickens are similar to us, in that they get their lutein from an external source, their food! That is, only if they have been fed on a diet of food that has not been genetically modified, such as, marigold petals, corn etc., The chickens then pass it on to the egg yolk from the ingredients in their food. But believe it or not, the only producers who are bound by law to use certified organic grain based feeds that are free from genetically modified organisms are certified organic producers. The same laws do not apply to free range chickens or chickens reared in barn/caged rearing systems. So, the yolk of an egg from a Certified Organic Producer should have a more intense colour as a result of the high content of lutein. But what role is it playing in protecting your eye sight? I recently heard eggs described as “Nature’s Sunglasses” and deservedly so. I wonder will you agree with that? They are referred to as ‘natures sunglasses’ because lutein increases the ‘macular pigment density’ of your eye, that part right at the centre of your retina. In doing that, it filters out blue light and protects the eyes against light induced damage. Blue light, which is everywhere, naturally occurs in sunlight. Man-made sources of blue light include Fluorescents, LED lighting, Flat Screen T.V, screens of computers, smartphones. It is in every digital device that you can think of. Blue light has a higher energy than sunlight and, over exposure to it can lead to retinal damage and loss of vision. The humble egg, it would seem, is not so humble after all! As well as everything I have spoken about, the yolk of an egg is also an excellent source of a crucially important brain nutrient, that’s essential for maintaining your memory and for communication amongst your brain cells. 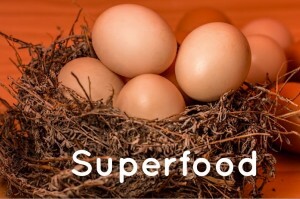 This nutrient is ‘Choline’ and your brain uses it to a produce a neurotransmitter called ‘acetylcholine’, which ensures that the neurons in your brain are supple, flexible and, able to grow new connections in the form of synapses. 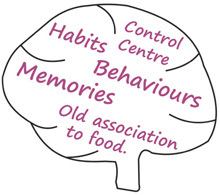 It is these new connections, that enable you to form new memories and associations. 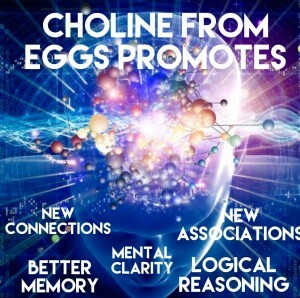 In fact choline is critical to your ability to think clearly, to remember and to reason. Aside from being an essential part of your mental physiology, choline also regulates your blood homocysteine, too much of which could put you at risk of heart disease and stroke. Pick up a carton of eggs the next time you are in the supermarket and enjoy all the wonderful benefits the humble egg has to offer you. And, to give your body the best chance of absorbing all the compounds in the egg yolk, boil or poach your egg.